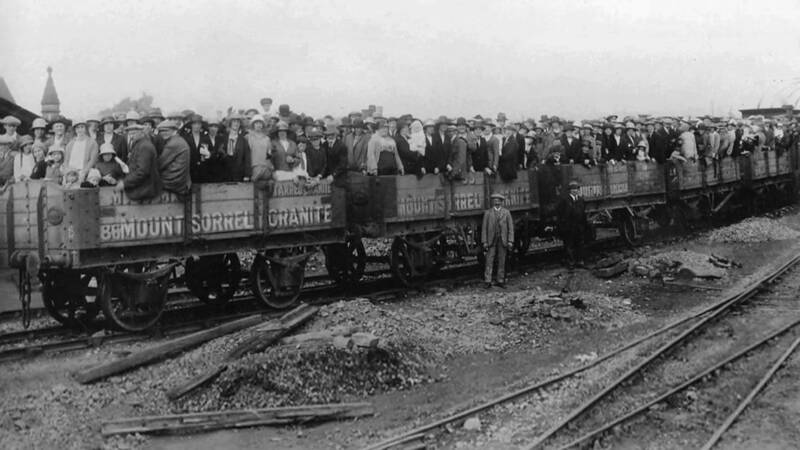 The Mountsorrel Granite Company once had over 750 “plank wagons” operating at various times on the line. Sadly none of the originals survive, but we were able to track down three similar wagons which in themselves are 70-80 years old. 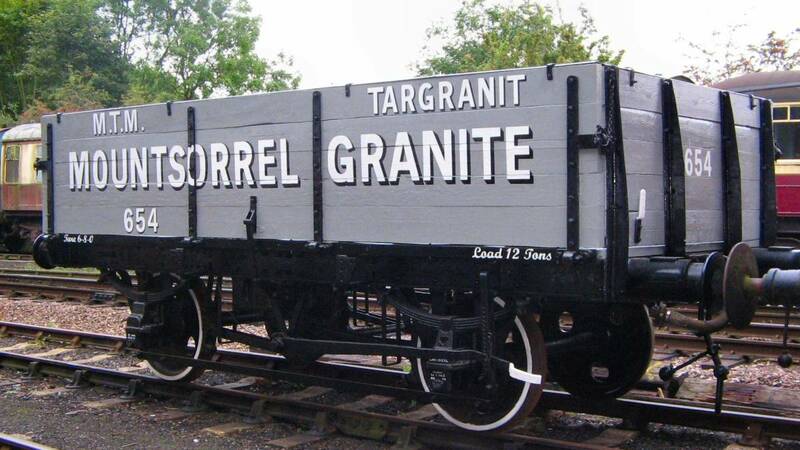 These our volunteers have restored and repainted in the livery of the Mountsorrel Granite Company, creating three replicas which will help us recreate Mountsorrel’s industrial railway history! The livery goes on, the best is still to be added! Hard at work with the paint. Restoration started back in September 2009 when Nick Tinsley kindly allowed three of his wagons to be used for the project. 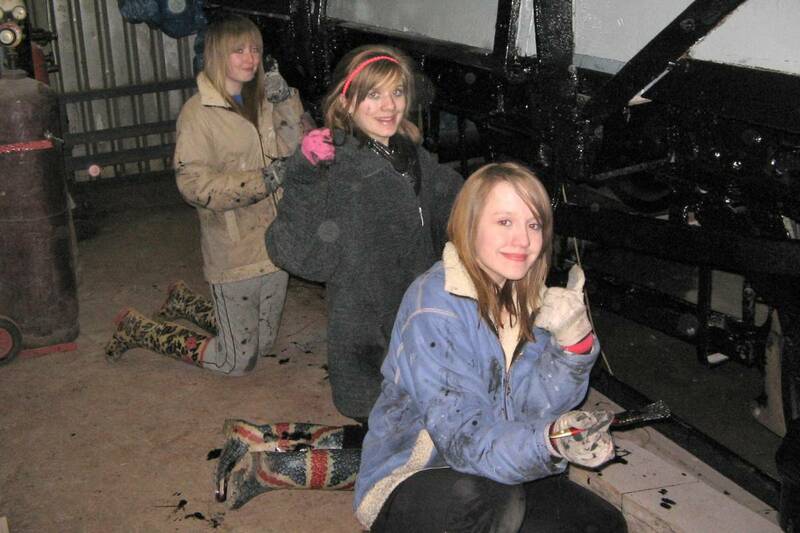 Restoring the wagons has been a community initiative involving volunteers of all ages including a group of five teenage girls from Mountsorrel who gave up their time to volunteer on Tuesday evenings and other young people who worked on the wagons almost every day throughout their school summer holidays. 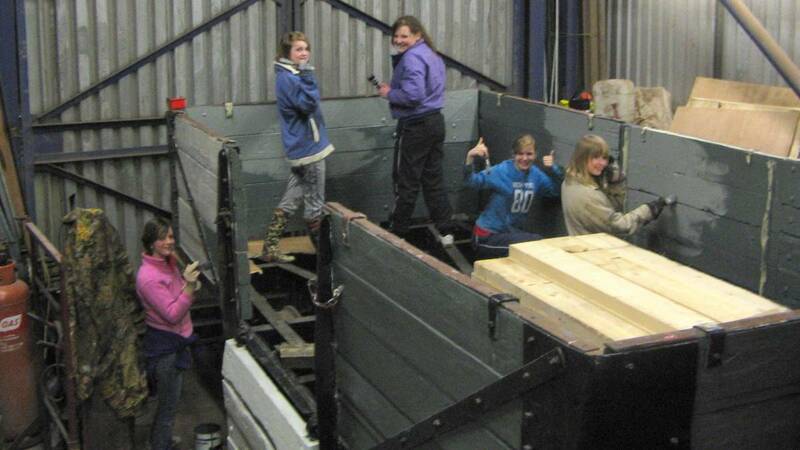 Some of the youngsters have worked on the wagons as part of their Duke of Edinburgh award. Each wagon was stripped to its bare metal frames before being thoroughly de-rusted, primed and repainted both inside and out, even the bits you can’t see have all been thoroughly restored. A new hardwood floor was fitted to each wagon, and in many cases the end and side planks needed to be replaced also. 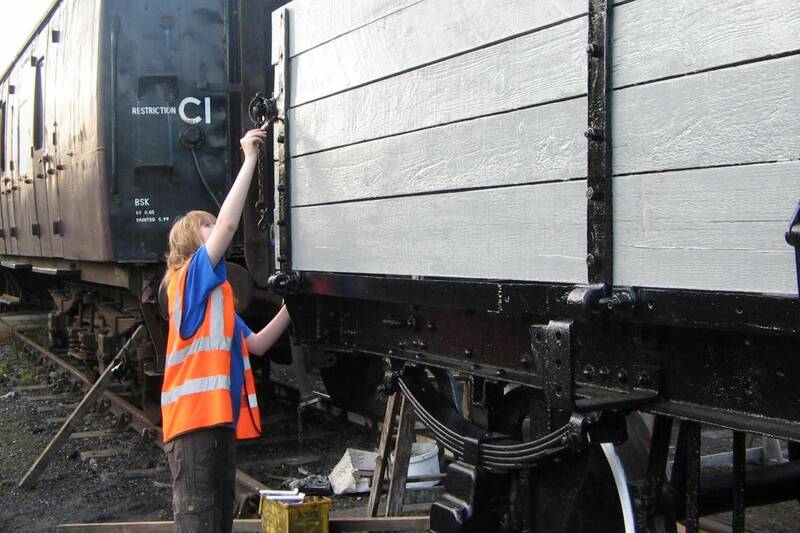 The first wagon took nearly five months to restore, however, thanks to RVP who kindly allowed us to use space on their siding inside Rothley carriage shed, we were able to complete the second wagon in just 5½ weeks. 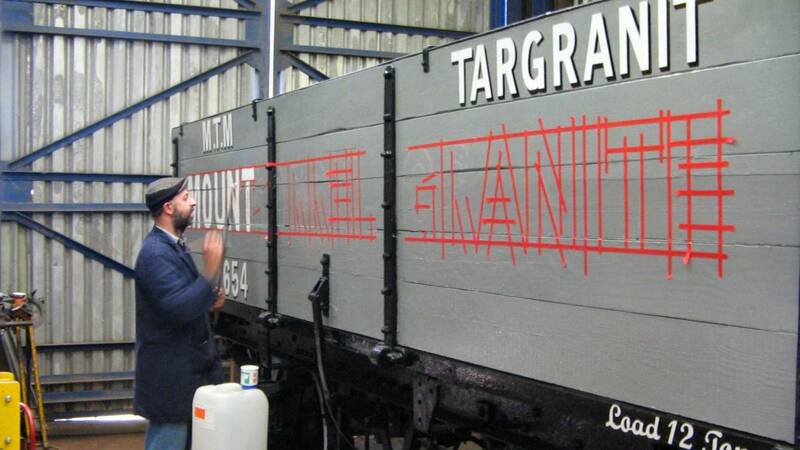 East Midlands Airport sponsored the sign-writing costs of the three wagons, enabling us to use professional sign-writer John Robinson to apply the lettering to the wagons. 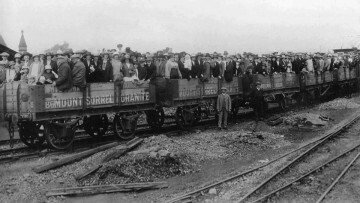 In recognition of the educational benefits the wagons will bring, and the involvement of young people, Loughborough University sponsored the restoration of the third wagon. We hope to pose the wagons with the last surviving steam loco from the quarry, Elizabeth. In June 2016 the three wagons were transferred to our railway museum at Nunckley Hill, along with a further two which we intend to restore in 2017. You can watch a short video of their arrival below.